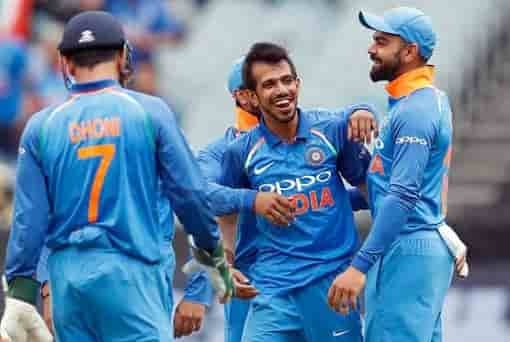 In the first two ODIs played in Sydney and Adelaide, India’s star-league spinner Yusufendra Chahal got the opportunity to replace Kuldeep Yadav in Melbourne in the third and final ODI of Australia, and he did the same as he did. Made history. In this match, with the spell of Yuswendra Chahal’s spin, India dismissed Australia for 230 in 48.4 overs. Chahal impressed with his one-day career and hit six sixes in 42 runs. With this historic performance, Yuvaverndra Chahal has become the world’s first spinner to take 6 wickets in an ODI against Australia on Australia soil. Earlier, the best performance of any spinner on Australian soil was the name of Ravi Shastri, who had hit 5 wickets in 15 ODIs against Perth in the one-day match played in 1991. Chahal’s last best performance was five wickets for 22 runs in South Africa’s Centurion. Chahal equals the best performance of an Indian bowler in Australia. Earlier, Ajit Agarkar also took six wickets for 42 runs on this ground. It is also the best performance of a foreign bowler on this field. Agarkar performed this in the 2004 Tri Series One.